« It’s a small world! A correction to the Part 2 post of Stitches…..Connie is actually knitting the pattern Sofia from CocoKnits. Here is a photo of that garment…the yarn is the same as earlier reported – Elsbeth Lavold’s Silky Flamme. 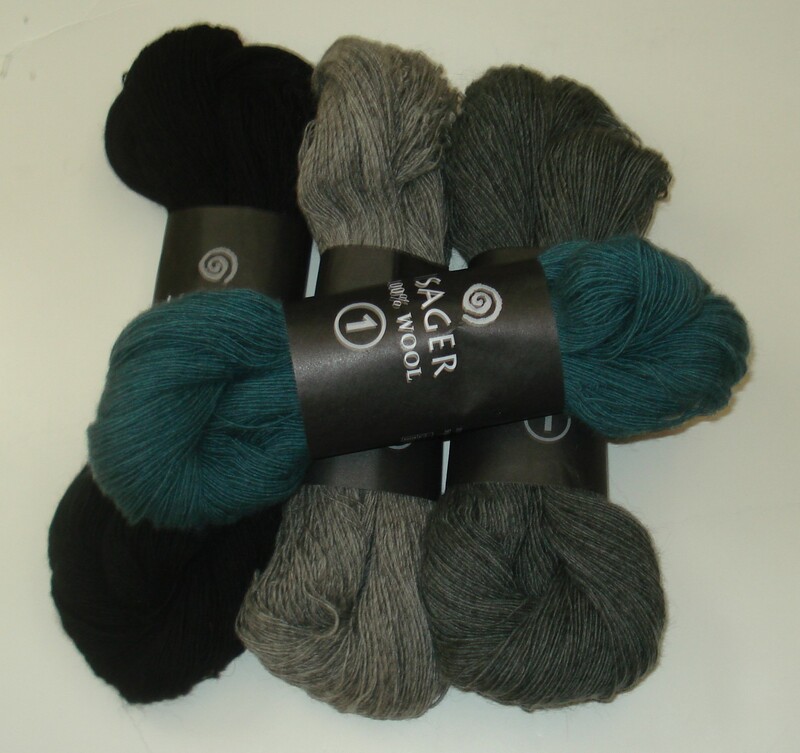 Another of Karen’s purchases was Isager wool…..she will embark on a stole – Dawn- from the book The Fine Line by Grace Anna Farrow! Dawn - The Stole that Karen will knit! Karen’s selection of colors – black, gray, and blue – will make her stole a classic. 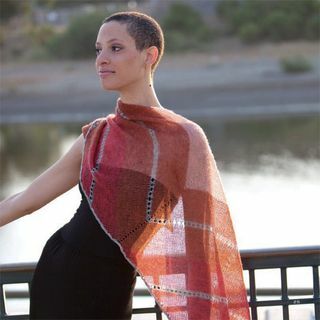 She is one of those folks who looks smashing in stoles and it will be fun to see her wrapped in this one…..both in the knitting and the wearing! We stopped at many booths and one of them was Koliage Yarns. This booth had unusual yarns…..I knit with Milky Whey – truly has milk protein in the yarn – 50% soy and 50% milk (protein). Isn’t it amazing what fiber combinations we are so fortunate to experience. This yarn was beautiful and a pleasure to knit. I used the square needles that so many of you rave about and I was quite pleased with the feel of the needles. Who knew?! When I was younger I was not a fan of the garter stitch by itself…and now with such wonderful fibers and pattern designs I find myself drawn to it often…. I’ve knit a lot of garter in the last couple of years….Moderne Baby Blanket, Stoles, and am now finishing up a Tomten jacket for my newly born nephew. (The mother is too busy to take time read this and learn about the gift.) At Stitches I as inspired by a vest – Chanel style – that had very simple elegant lines created by garter stitch being knit in several directions. When I woke in the middle of the night recently I began planning the yarn that I will use. Stay tuned! Well….it’s time to wrap up this journey. It’s a lovely experience to spend the day amongst fiber and friends.